The state's wholesale and retail nurseries tallied an estimated $947.7 million in sales during the calendar year, which was more than enough to make nursery and greenhouse crops Oregon's top agricultural commodity, ahead of cattle and calves, which were in second place at $695 million. "The wholesale nursery industry is a traded sector that serves markets in every time zone of the United States, as well as Canada and overseas, and brings significant dollars back to the Oregon economy," said Jeff Stone, executive director of the Oregon Association of Nurseries. "More than three-fourths of what we grow in Oregon is shipped over state lines, to destinations as far away as the East Coast." 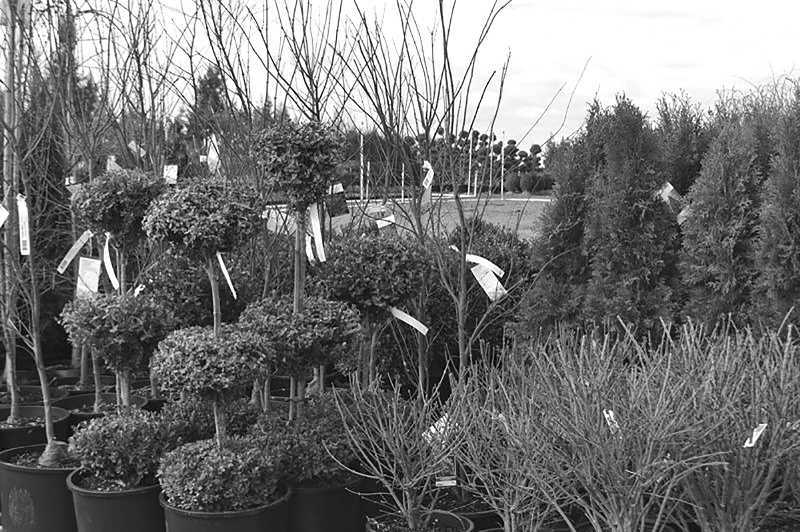 It was the Oregon nursery industry's best sales year since 2007, when $1.039 billion worth of Oregon nursery and greenhouse products were sold, just prior to the Great Recession, which caused sales to decline. The news comes as nursery industry professionals prepare to gather at the 2018 Farwest Show, which is the nursery industry's largest business-to-business trade show on the West Coast. The Farwest Show will take place next Wednesday–Friday, August 22–24, at the Oregon Convention Center in downtown Portland, with some 6,000 people expected to attend. "The Oregon nursery industry is feeling momentum with eight consecutive years of sales growth, and we're excited about sharing what Oregon has to offer with visitors from all over the country," Farwest Show Director Allan Niemi said. For 2017, Oregon's other top-ranked agricultural commodities included hay ($585 million), milk ($501 million), grass seed ($455 million), wheat ($239 million), potatoes ($177 million), pears ($177 million), wine grapes ($172 million) and blueberries ($148 million). Oregon remains the nation's third-leading nursery state, behind the larger states of California and Florida, according to the most recent USDA Census of Horticultural Specialties (2014). Oregon leads the United States with more than 61,000 acres of land in nursery production. What's more, Oregon is the nation's top grower of coniferous evergreens, deciduous shade trees, bareroot nursery products and deciduous flowering trees (USDA Census of Horticultural Specialties, 2014). Oregon has consistently been the nation's top grower of Christmas trees as well, growing $92 million worth of them in 2017 according to the state's new figures. (Christmas trees are considered part of the nursery industry, but the Oregon Department of Agriculture counts the sales as a separate figure). But as Stone pointed out, the nursery industry isn't beneficial only to Oregon's economy. "Our products make life better by providing research-proven environmental, social, economic and even health benefits once they're planted at their final destinations," he said.